Have you ever thought about the visor on your helmet and its purpose. I have and I wondered why it is even there. Why do mountain bike helmets have visors? 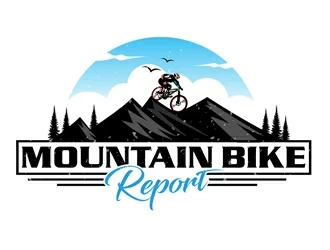 Mountain bicycle helmets have visors to protect the face and eyes from branches hanging low over the trail and twigs from slapping your face and poking your eyes. Visors shield you from the sun, rain, and splashing mud. They also deflect away any sand or gravel which sprays up while cornering. Helmet visors are a pretty simple feature when it comes to head gear. But there are some considerations you need to know in order to get the most benefit from any visor. Many times mountain bikers like to ride during sunrise and sunset. At these times the sun will be in more of an eye level position as opposed to more overhead before and after these times. Your eyes will be right in line with the sun. Your visor will help you see straight ahead even though you may be riding directing toward the sun. Singletrack riders by definition ride on very narrow trails. These trails are only wide enough to fit one rider at a time on them. Singletracks can be found on many types of terrain especially in the forest. The trees and foliage in a forest can be very dense. In order to maintain a high speed through such terrain a visor is needed because there will be low hanging branches that stick out across the trail. At higher speeds when going forward these branches will be like a whip across a riders face. Without protection from low branches or high bushes the rider will need to use one arm to shield himself from getting slapped. Now the rider is forced to only use one arm to ride the mountain bike. This will cause an imbalance in the riding performance. This could cause a crash. A visor will not only prevent any accidents, but will also enable the rider to increase his riding performance on singletracks in the forest. Mountain bikers are tough, they are not afraid of bad weather. It is a challenge for them to ride in the rain and the snow. A visor will keep the rain out of your eyes and keep your face drier. This allows you to see without having to squint your eyes. When you are not squinting then your facial muscles are more relaxed. This will prevent headaches for those more sensitive to headaches. When it is snowing a visor will help to keep snow from falling on your face and nose. This will help to keep your face and especially your nose that much warmer. If you are riding after it has recently snowed then there is snow on the branches. A visor will protect your face from any falling piles of snow that fall from the branches. Also your eyes will be shielded from sunshine glare off of the snow. Finally, if you are riding in a race or with a group of friends you have to watch out for the riders in front of you. Their tires especially if they have good traction will kick up dirt, sand, and mud at you if you are behind them. Not being distracted by that because of your visor will help you to go faster and pass them if you want. 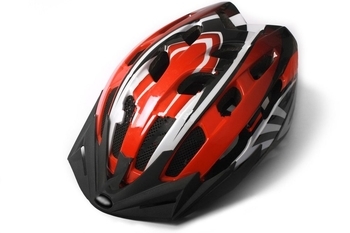 There are 2 types of visors that you will find on mountain bike helmets, built-in and detachable. Each one has its own pros and cons depending on the type of riding you are going to do. Knowing this will help you choose the right helmet with the right visor. A built-in visor is one in which the visor is part of the entire structure of the helmet. Visors on these types of helmets are not too long but they are long enough to keep the sun out of your eyes. It will give you some protection from rain and snow, but generally you should ride with this type of visor when the weather is relatively good. Another reason why you should ride in good weather conditions with this type of visor is in case of an accident. If weather conditions are not good you are at a greater risk of crashing. If you fall off your bike you may land on the visor. The shape of the visor and impact to it may increase your risk when you fall. This is why built-in visors are not so long. A detachable visor is one in which the visor can be removed from the helmet. It can be removed and reattached again. You can reattach the visor by snapping it back on. Some have a strong magnet which allows you to take it on or off more easily. Detachable visors are generally longer than built-in visors. Therefore they are more useful during poor weather conditions such as during rain and snow. Plus if you fall off your mountain bike because it is detachable on impact the visor will pop off. This will reduce your risk of being injured further. When you are mountain biking you should use a visor for all the reasons and benefits explained above. If you are going to ride your mountain bike on the road, then you don’t need to use a visor. This is because on the road you will usually ride with your head down in order to go faster. On the road you don’t need to keep your head up or your body in an upright position because there are no small obstacles in your way. Nor is there any technical terrain that you need to be aware of. When you ride with your head down the only thing you need to do is to be able to look straight ahead. You can’t do this with your head down when you have a visor on your helmet. Other than road biking, trail riders should always use a visor. The one exception for mountain biking which some mountain bikers agree is for cross country bikers. XC bikers ride on more wide open terrain and not in thick dense areas. They tend to put their head down in order to ride faster. So they want to have the best visibility they can. This is not all XC riders but some point out they don’t use a visor in this case. For built-in visors which are part of the helmet the visor is generally short. You have to look at the helmets with your eyes and just see how long the visor is. I have not found a specific measurement in any product description for the visor. For a full-face mountain bike helmet I see that the visor is longer. Again you just have to look with your own eyes to see the length. Full-face helmets and their visors are thicker than non full-face helmets and they are mostly used for downhill more aggressive riding. Removable visors have short and longer sizes from what I have seen. There is no size listed in inches or centimeters. All you can do is to take a look at it. The best thing to do would be to bring your helmet to a bike shop and try on different removable visors so you can see which one is best for you. Depending on how you like to wear your helmet on your head make sure the visor extends at least a couple inches beyond your nose. If you wear your helmet high on your forehead then the visor may not be able to give you as much protection as you may like.